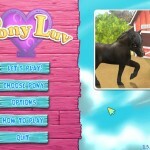 With cute horse games, girls of all ages can have fun. No matter whether you are caring for your horse, learning how to groom or cleaning out stables, these gams are both educational as well as interactive. 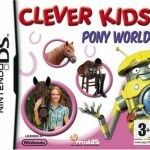 With realistic graphics and lots of horse facts, these games satisfy the fun and educational component to active learning. You can play fun mini games and earn money to care for your horses or take a quiz to remember all of the horse facts you have learned. Plenty of challenge and opportunities to make important decisions await you when you play cute online horse games for girls.